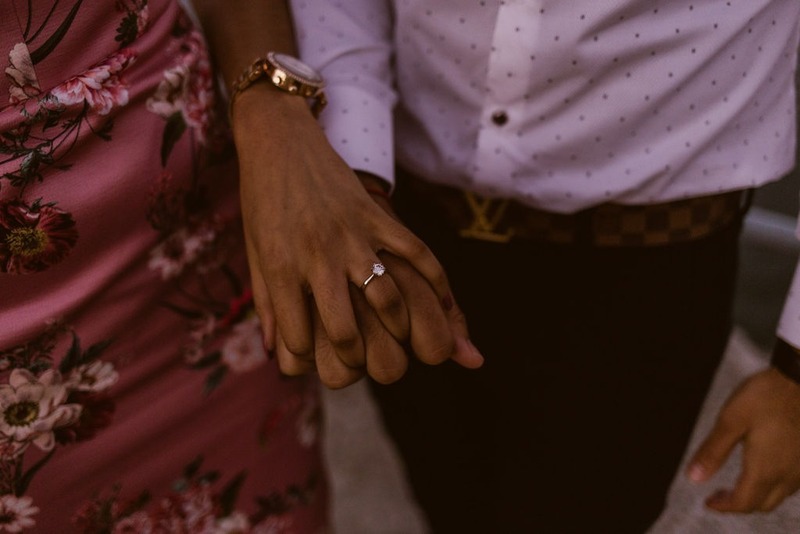 On Saturday the 12th of January 2019, Damien proposed to his girlfriend Ashney, and she said yes! 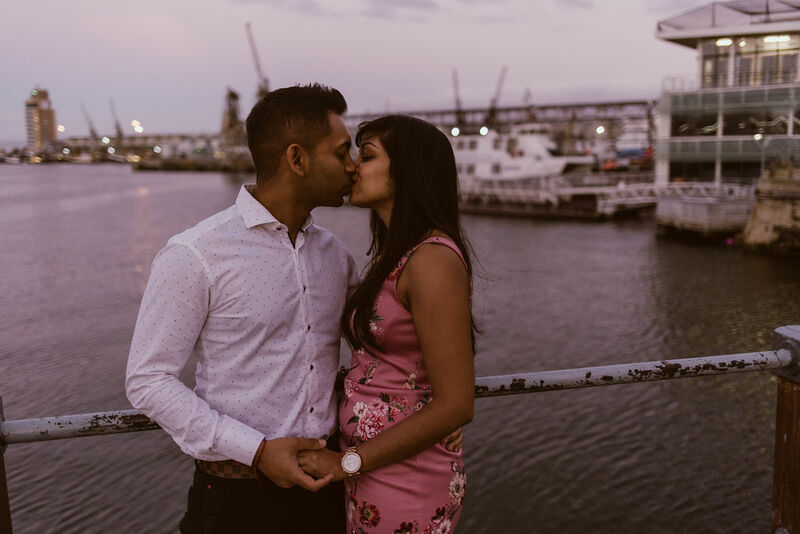 Damien and Ashney first met each other at university but didn’t start dating until a few years later when Ashney moved to Johannesburg, where Damien was living at the time. 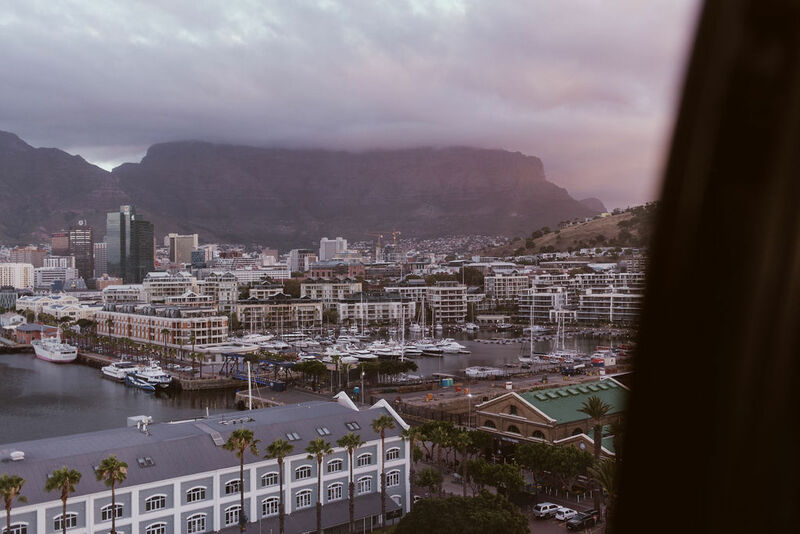 They have been going out for almost four years now, and currently, live in Cape Town. They like to watch movies together and try new restaurants. 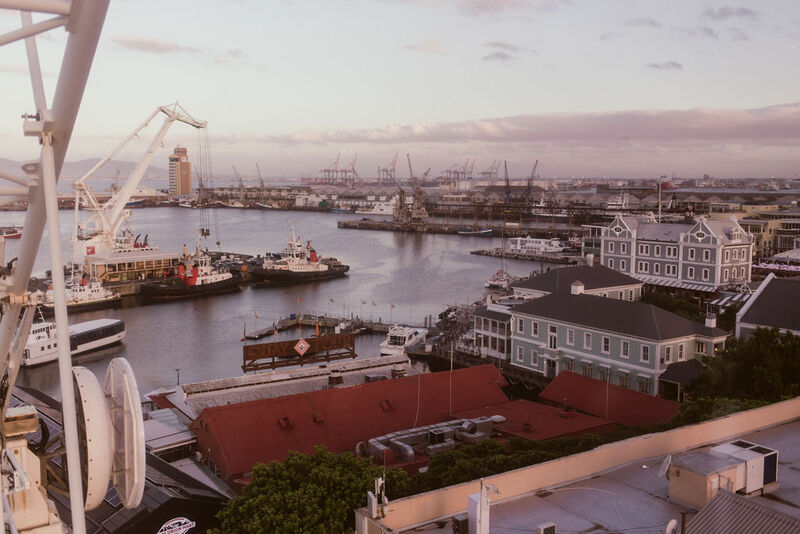 Damien contacted us to set up the perfect place for him to propose to his girlfriend. 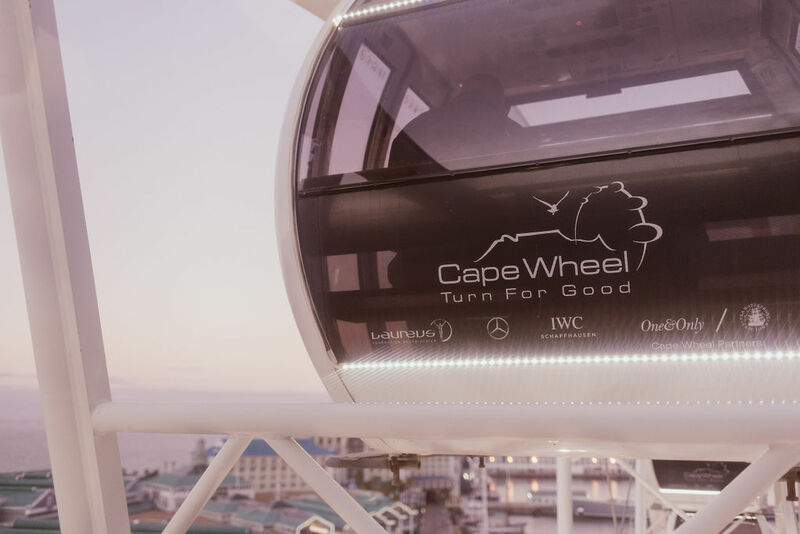 He decided he would like to take her on the Cape Wheel and propose to her while they enjoyed the sights of Cape Town. 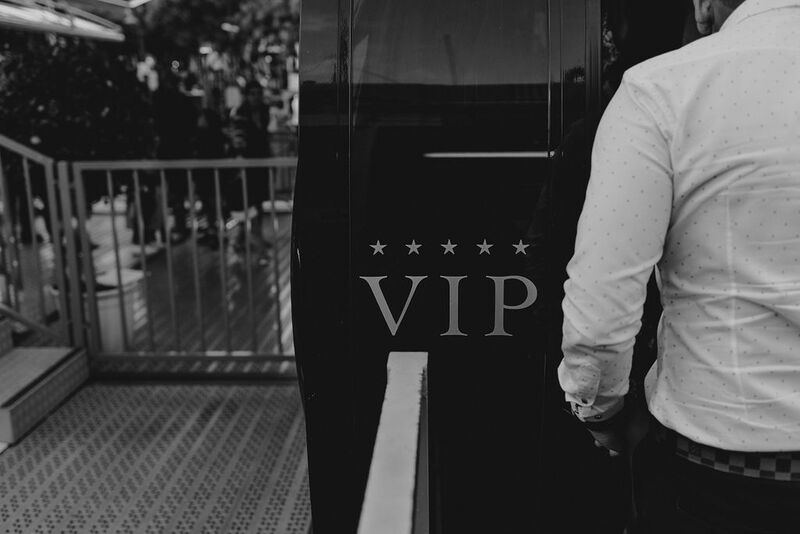 We organised the VIP gondola for the two of them, as well as a singer and photographer to capture their special moment together. 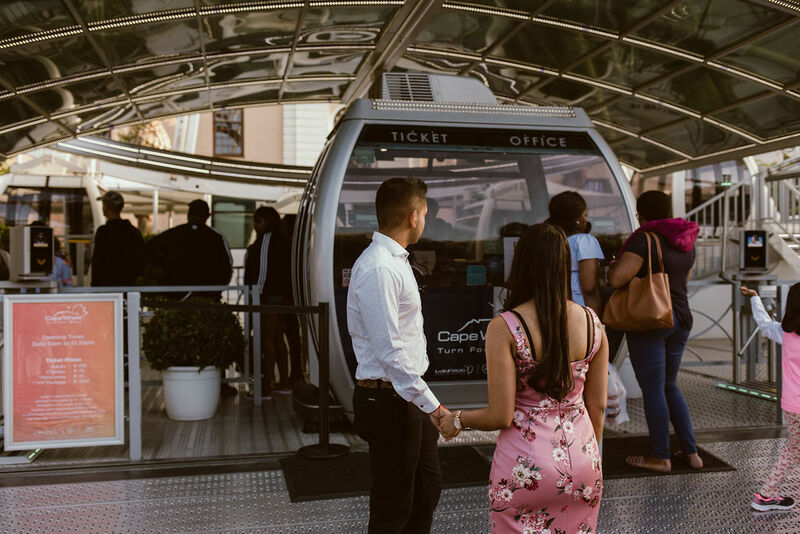 As their gondola reached the highest point, Damien asked Ashney to marry him! We held a ‘Marry Me’ sign up for them on the ground, which they could see through the glass bottom of the gondola. As he proposed, Bronwyn took some beautiful photos of them, while Chris sang their favourite songs. They popped some bubbly and celebrated! 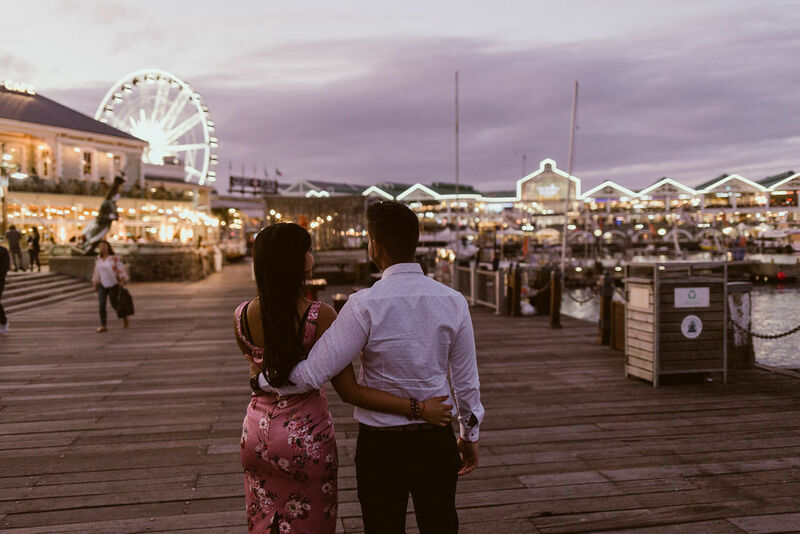 After the newly engaged couple got off the gondola, they walked around the harbour at the V&A Waterfront while Bronwyn took some more photos of them. At the same time the photoshoot was happening, we set up some beautiful petals and roses on a table for them at Harbour House restaurant, where they went after their photoshoot to celebrate some more with a delicious dinner and a stunning view out over the harbour. 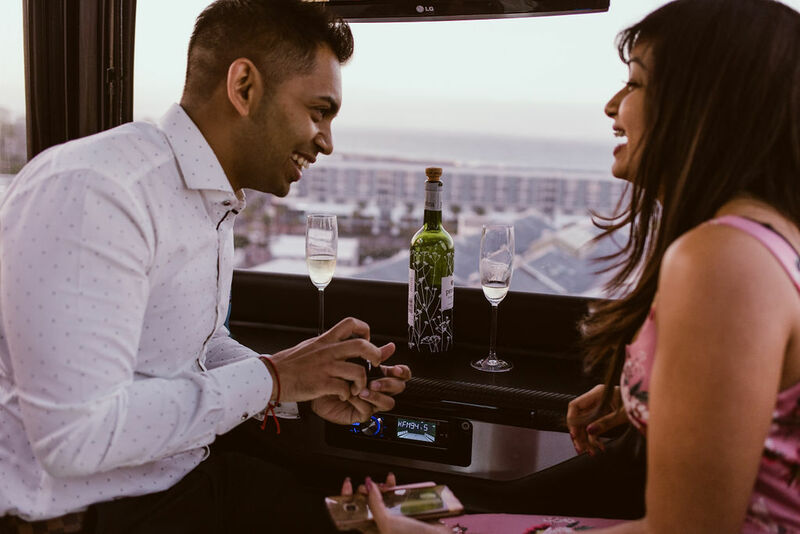 Damien and Ashney Cape Wheel marriage proposal was spectacular, a magical night that will be remembered by all. 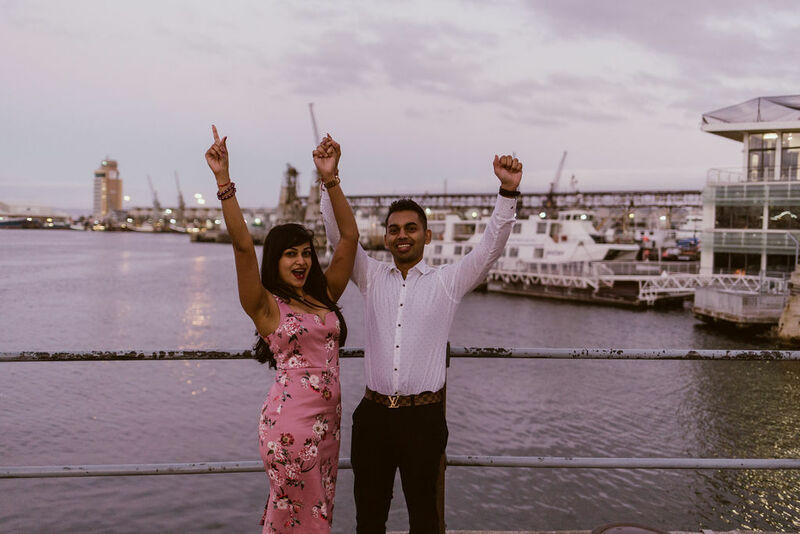 We had such fun setting up Damien and Ashney’s amazing proposal and we wish the two of them all the very best in their future together! For more fun proposal ideas, look at our blog.